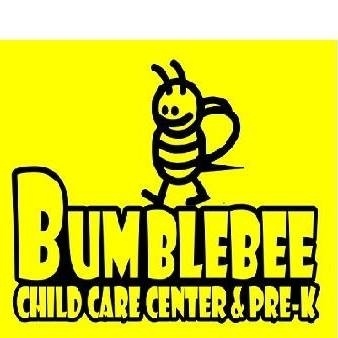 Bumble Bee Child Care Center & Pre-K, Inc. The Bumblebee Child Care Center & Pre-K believe that it is our privilege and obligation to provide educational, social, and emotional experiences everyday to al...l children enrolled in our child care facility. It is our goal to enrich the lives of children, parents, and all family members by providing community focuses outreach experiences through literacy and quarterly family fun nights. Here at Bumblebee Child Care Center & Pre-K, we are fulfilling our mission by being an active leader in our region's development of child care programs. Our children's and families' success is our success! Bumblebee Child Care Center & Pre-K is enrolling children ages 6 weeks-5 years.